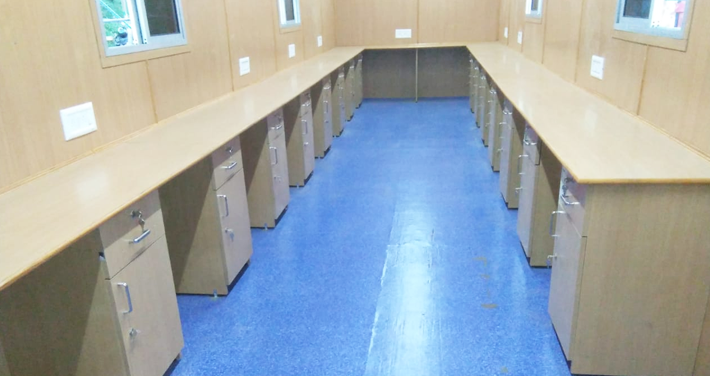 We are one of the leading manufacturer and suppliers of Mobile Cabins with the high-quality of material used as per the Industry Standards. Our Portable Office Cabins are done with flawless exactness, leaving an extent of further extension whenever required. The auxiliary part is designed to accuracy, settling on them the best decision. These promptly accessible Portable Office Cabins are accessible in different sizes and are simple to introduce. They have the ability to withstand the outrageous climate conditions and can be fitted with a forced air system. This product is highly sought after by customers in various industrial and commercial areas as well.